The Graduate School of Advanced Integrated Studies in Human Survivability (GSAIS) was launched in Kyoto University in the 2013 academic year. This is a new 5-year Graduate School aiming to produce top-level global leaders who can resolve the complex and diversified social issues with a strong sense of responsibility, humanity and morality. 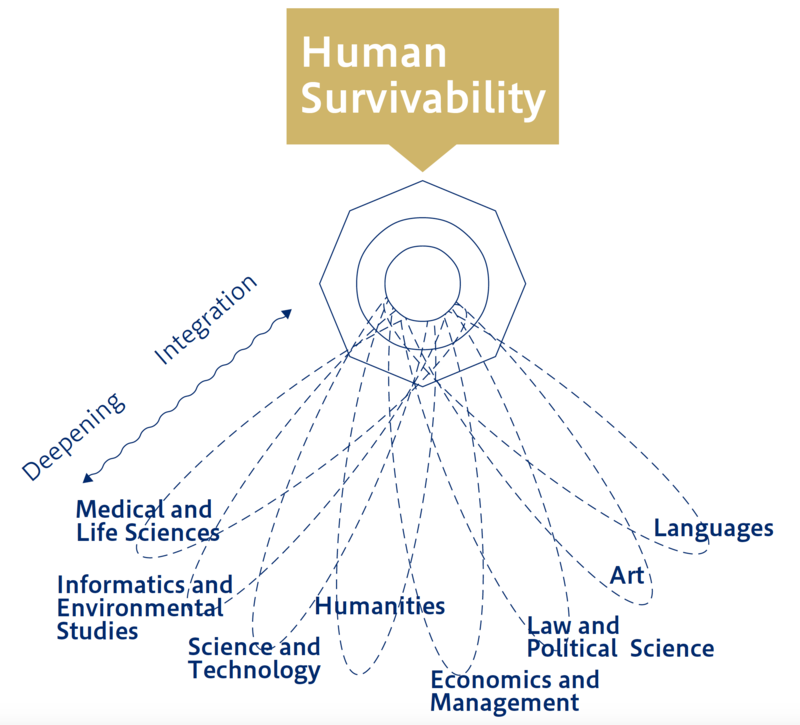 Advanced Integrated Studies in Human Survivability is an integrated field of scholarship that studies the means to structuralize and communalize knowledge for human survivability. Through the studies at the GSAIS, students are expected to assume responsibility as global leaders and develop a high sense of mission and perspectives as well as highly developed management skills. The educational program at the GSAIS is supported by the Leading Graduate School Program, which is run by the Japanese Ministry of Education, Culture, Sports, Science and Technology (MEXT). The education at the GSAIS is centered on the traditional philosophy that learning occurs through hearing, thinking and practicing (a Buddhist term “mon-shi-shu” on which the program’s name is based). Students are expected to enhance their ability to adopt an all-encompassing perspective across various fields by building a broad spectrum of professional learning, ranging from the humanities through sciences and based upon the body of academic knowledge acquired during undergraduate studies. The educational and research training is globally focused and is given mainly in English. The GSAIS curricula are tailor-made and are constructed depending on the academic background and future goals of each student. 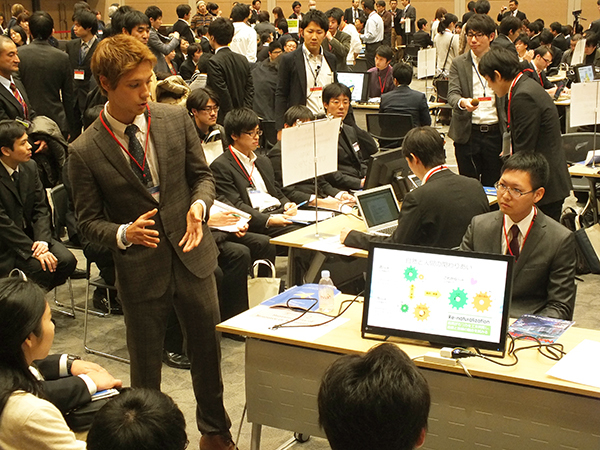 Students also attend the debates that involve external lecturers from industry and government (“Industry-Government Cooperation Special Seminar “Jukugi“). Internships, fieldwork, and project-based research are important course requirements. Students undergo one-year overseas internship with an international organization or overseas office of a Japanese organization. The internship program has become possible thanks to the kind collaboration of such organizations as UNESCO, OECD, JICA, and leading international companies and universities. The GSAIS accepts 20 students per year, keeping the student-to-instructor ratio very low. They live in a residential college on campus, which enhances the environment for learning by facilitating student interaction across disciplines, and faculty members are available onsite to provide necessary support and mentoring. Further, eligible students receive a scholarship from the University as well as a financial support for their research activities. Copyright (c) Graduate School of Advanced Integrated Studies in Human Survivability (GSAIS). All rights reserved.